Now into the third chapter, Alice and a group of various birds and small animals wind up ashore and all wonder how to get themselves dry after floating about in the pool of tears. 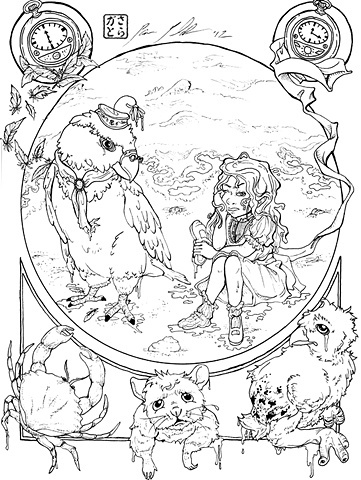 Alice becomes chummy with most of the animals except the Lory parrot who, in argument, proclaims she's right because she's older but won't say her age. Alice gets frustrated, believing she can't be right simply for that.